You have crafted the perfect message that will resonate with your audience. Visuals are on point; the concept is fire and everyone in your team is ecstatic for it to be taken to the public. Like any other medium, when it comes to billboards, execution is everything. Crafting a great message and show-stopping visuals isn’t enough if it winds up in the wrong place. What if your billboard is in the tunnel that no one walks past? What a waste of money that would be! 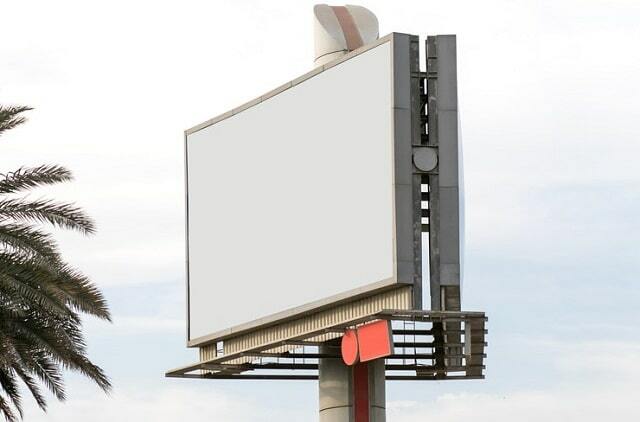 This article will divulge some of the best ideas for placing your billboard so you can get the best return on your marketing spend. Checking out the digital billboards by Bishopp is a great starting point and can help get you on the right path with coming up with your own billboard. When it comes to strategy however, let’s check out some smart ideas on billboard locations. This way, you can deliver a powerful message that doesn’t get lost. After all, you are leveraging one of the most powerful forms of outdoor advertising. The highways, near shopping centers, at roundabouts… so many locations come to mind. Which are going to be the best choices though? Which spots will bring about the highest amount of football so that the impact isn’t lost? Your advertisement must be visible or else it’s a complete waste of time and money. Having a front facing billboard will boost the impact and make it easy for passers-by to take in. This will also be really obvious to any traffic coming up. Unless you’re going for a motorway, you don’t want the location to be too high up or too low down. You want to reach the perfect height for the individual to clearly read the message without having to strain. Considering whether it’s a prime location for cars or walkers will also be important. You can get some good insight into some of the best spots by searching on your local government’s website for traffic figures. Doing your research will give you insight into the best spots in your area that have the highest amount of traffic so you can place the billboard optimally. Understanding how your customer is will also help you place it in the right location. Get to know what’s around and who the main people are who visit that area. Is it families, the elderly, young city workers? These will all help you place it in an advantageous space. Now you know some great starting points for your billboard location, it’s time to get pen to paper. Remember the above tips to place your message in the best possible location as you consider multiple elements. I hope you enjoyed this blog post about how to select the best billboard locations for business branding.